In Europe 500 years a go, the established paradigm of 2,000 years was built on common sense ideas about the Earth and its place in the universe. This paradigm was summed up by the work of the Greek philosopher Aristotle (384-322 BCE) and Ptolemy of Alexandria (90-168) in modern day Egypt in his book known as Al-magest (the greatest). Aristotle and Ptolemy’s model of the solar system was geocentric or Earth-centred and fitted with the common sense observation that the Earth stays still and the sun, moon and stars move around us in a circular pattern. Ptolemy’s Almagest stated that everything in the heavens is in orbit around the Earth – in accordance with a geocentric model of the Universe. The Earth was a perfect and static sphere at the centre of a set of moving transparent crystal spheres on which the stars, planets, sun and moon circled around the Earth in regular motion. 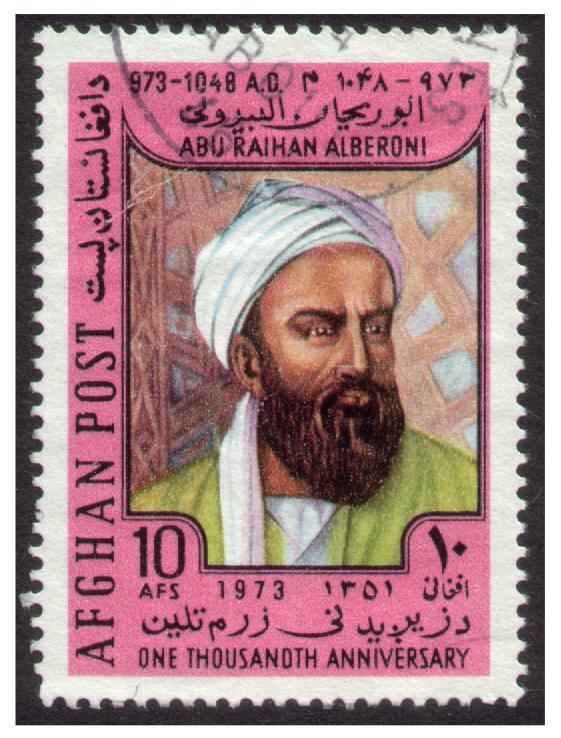 Al-Biruni (973-1048) in modern day Uzbekistan, worked in Maragheh observatory in modern day Iran and established the importance of astronomical observation, even without telescopes and his observations led him to comment favourably on the idea that the Earth might be moving. The Italian scie ntist Galileo Galilei (1564-1642) used a new and powerful telescope to observe the sky and made several observations which called into question the geocentric paradigm. To the naked eye, the Moon is just a bright object in the sky with some vague patterns. With the help of the telescope much more detail can be seen, suggesting that the Moon has a rough ‘mountainous’ surface. The Moon has ‘mountains’ which create dark shadows at sunrise and sunset – just like the mountains on Earth. Galileo also observed sunspots – another observed imperfection in the heavens – on the face of the Sun itself. Telescopes revealed new wanderers in the sky – ‘stars’ which remained close to Jupiter but changed their positions, night by night suggesting they might be in orbit around Jupiter rather than the Earth. Venus, like the Moon, has ‘phases’ when seen from the Earth. The sunlit side of Venus sometimes faces towards us and sometimes away from us. Observation of these phases of Venus could also be explained by a heliocentric model; the idea that the Sun is at the centre of the Solar System. Galileo wrote about his observations in Sidereus Nuncius (The Starry Messenger) and his theory in his Dialogue Concerning the Two Chief World Systems. Galileo’s struggle against the authority of the Catholic church about the possibility of a heliocentric solar system was also a struggle about the importance of observation and rationalism in the face of irrationalism and superstition. The eventual acceptance of the heliocentric model was a major paradigm shift. The story of Galileo was dramatized by the German playwright Bertolt Brecht (1898-1956) in his 1940 play The Life of Galileo. Imagine a conversation between Galileo and someone who is sceptical about his ideas. What arguments might the sceptic use against Galileo? What are the obstacles standing in the way of a paradigm shift? What is the message of the passage quoted above from The Life of Galileo about the wider impact of this paradigm shift? You can watch Joseph Losey’s 1975 film version of The Life of Galileo in several parts on YouTube, starting here. This entry was posted in Learning resources, Science in Society and tagged al-Biruni, Bertolt Brecht, Copernicus, Galileo Galilei, geocentrism, heliocentrism, Joseph Losey, paradigm, Ptolemy, Science, Science in Society, scientific method, The Life of Galileo. Bookmark the permalink.